There are so many different doorknobs to choose from. If you are looking to replace doorknobs inside your home or business some of those door knobs may be dummy doorknobs. Doorknobs serve dual purposes; security and privacy. Having the correct door knobs in place on both your interior and exterior doors pairs with repairing any damaged doors and frames to be secure. Action Locksmith Inc. has been repairing and installing doors, doorknobs and hardware for over 30 years making homes and businesses secure. When purchasing door hardware, it can be quite confusing if the customer is not knowledgeable about what type of door hardware is required and for which type of hardware application. 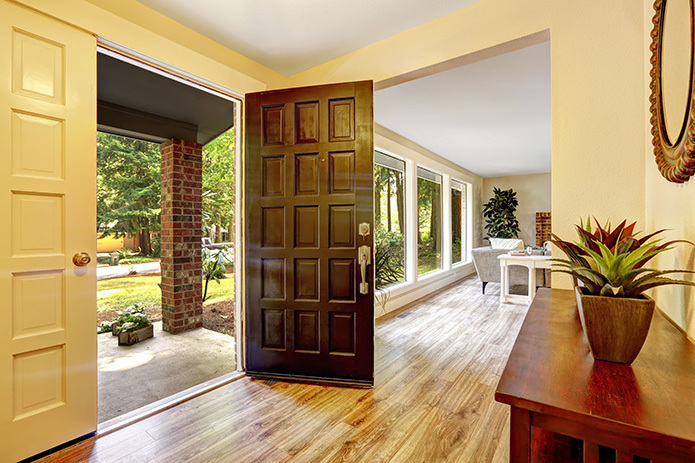 First, the customer needs to know whether the door is an interior or an exterior door. Second, they need to know whether a locking or non-locking mechanism is required for the door. There are various types of locking and non-locking door hardware. There are knobs and handles with locking mechanisms such as deadbolts and cylinders. There are also doorknobs and handles without any locking mechanism. An example of non-locking door hardware is a dummy doorknob or a dummy handle. This type of door hardware does not latch or provide secure door function. Full Dummy doorknob or door handle sets look like locking doorknob sets except there is no latching mechanism or key function. There are Full Dummy doorknob sets and Half Dummy handle sets. A Full Dummy knob or handle set is mounted on both sides, inside and outside, of a door. The Half Dummy set is mounted only on the outside of a door. Dummy doorknobs or handles sit flush on a door and serve the purpose of allowing a person to open or close a closet or pantry door without locking it. Typically, dummy doorknobs are used on double doors, pantry doors, hallway, utility, or closet doors that are solid or louvered but do not need to be secured or locked. You don’t have to worry about children or pets getting locked in a closet or pantry. Having secure doors means latches, knobs, bolts and hinges are functioning and in place without damage. It’s important to replace or repair damaged doors and frames for your security. Action Locksmith Inc. will install and repair interior and exterior doors, hinges, frames and hardware. To learn more about our locksmith services and how we can help make your home, business and automobile safe and secure call us at 248-672-0462. Action Locksmith is a family owned and operated business that proudly supports local Michigan businesses. We have served Tri-County residents and beyond for over 25 years!